Ranch style 3 bedroom brick veneer home with lovely sunny north facing verandah - open plan lounge / dining with gas log fire, adjoining timber kitchen with long breakfast bar, gas hotplates and dishwasher. 3 good size bedrooms all with built in robes. Flexible bathroom, powder room and separate toilet. Built in cupboards in laundry and room for a freezer. 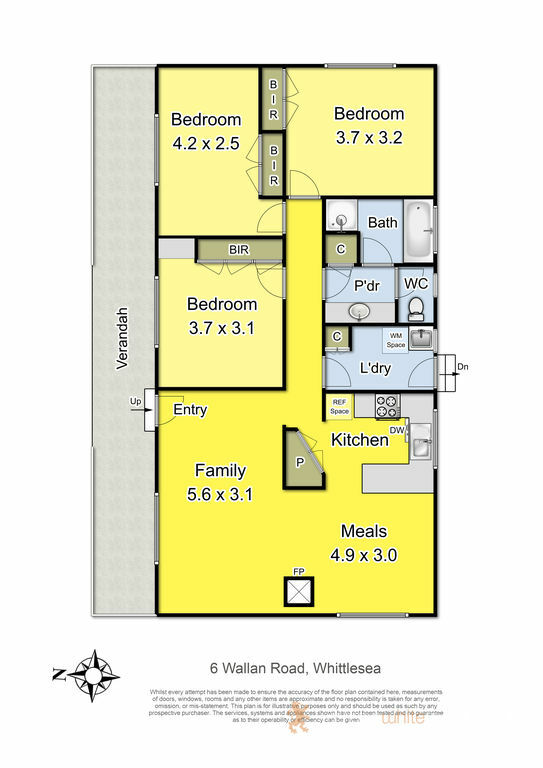 Large wide level allotment of approximately 740m2. Put the car away and walk to everything - Primary school just down the road, 5 min walk to Church Street Shopping Centre and all other township facilities. Contact: Susan Sinclair - 0417 599 555.